It’s Monday, and all of us have our perception of time thrown off from the recent mid-week-holidays. Added new stained hardened clay. Enabled access to the donkey & mule inventories by sneaking and interacting. 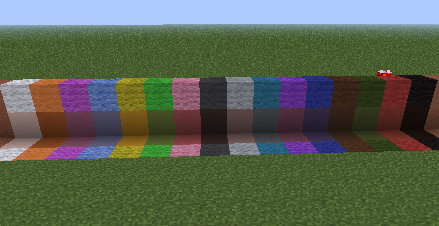 New textures for Charcoal, Coal Block, and Lapis Lazuli. Made mobs spawn as groups again. To get the snapshot, use the new launcher available in the link below. To return to 1.5.2, simply start the old launcher and play as normal.